Most of us will admit that the scenery is at least half of the reason we go hiking in the first place and there’s no better time to take it all in than autumn. 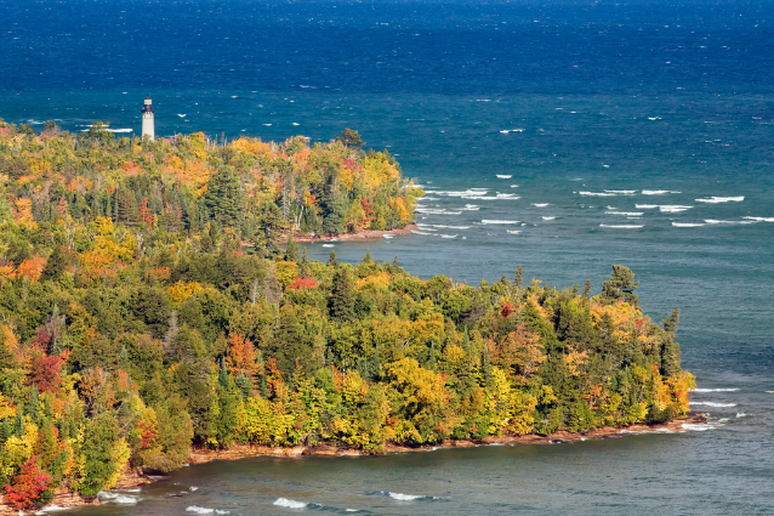 We've highlighted hikes from across the U.S. that show a particularly incredible display of fall colors so you can make the most of the fall hiking season wherever you are. Old Rag Mountain—Shenandoah National Park, Va.
One of the toughest trails in this picturesque park, the trek up Old Rag is a classic eight-mile hike that has it all. 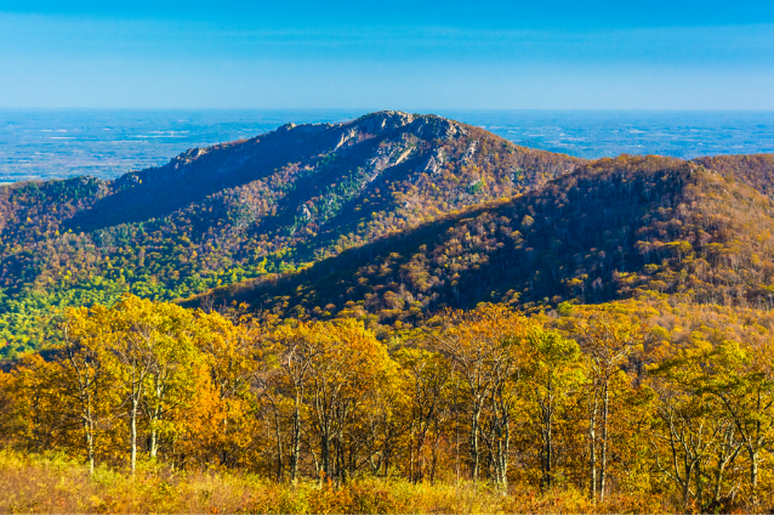 Panoramic views of dramatic fall colors and a tough rock scramble make it one of the most popular routes in the mid-Atlantic. This day hike is an incredible adventure, but come early or during the week to avoid the crowds that visit during peak times. Twin Arches Loop Trail—Big South Fork National River and Recreation Area, Ky. And Tenn. This 4.6-mile loop takes hikers through two of the most incredible rock formations in the east and, during the fall, through some impressive foliage. 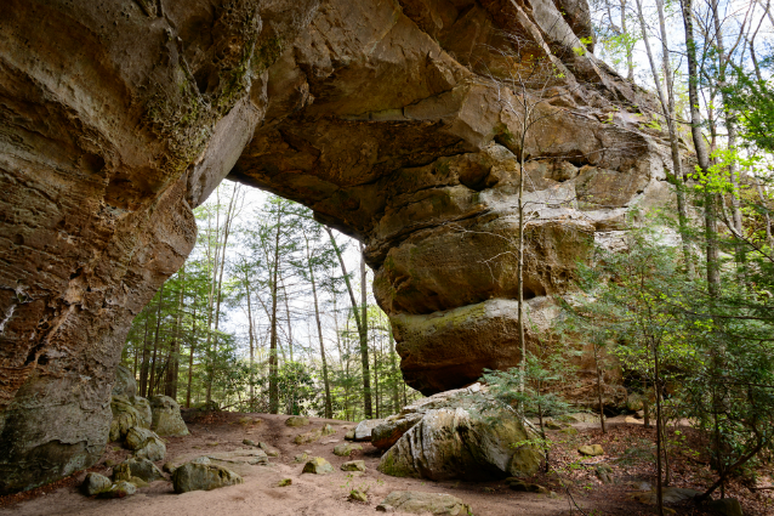 The North Arch towers 62 feet over the trail, while the South Arch tops out at 103 feet tall and hikers can reach both formations by walking less than a mile, but the loop that connects is a worthwhile hike too. Can’t get enough of the fall colors? The Big South Fork National River and Recreation Area is home to more than 150 miles of well-maintained hiking trails. Beaver Lake Loop—Pictured Rocks National Lakeshore, Mich. 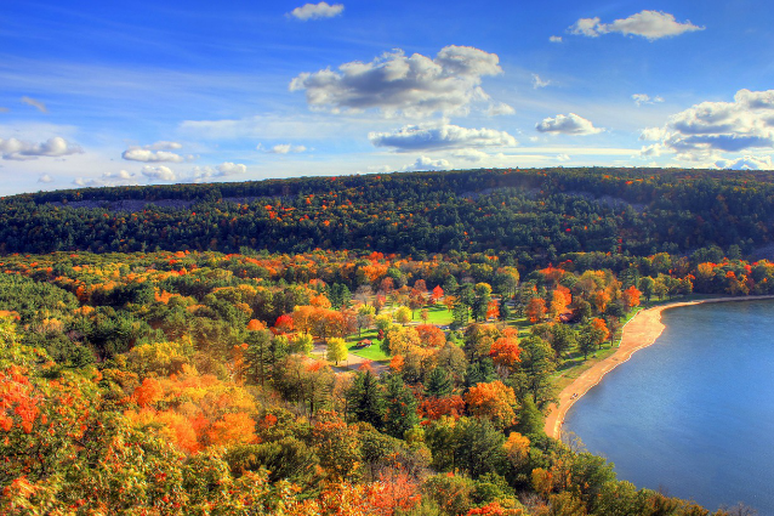 The 73,000-acre Pictured Rocks National Lakeshore stretches out along 42 miles of coastline on Lake Superior and features 90 miles of trails. 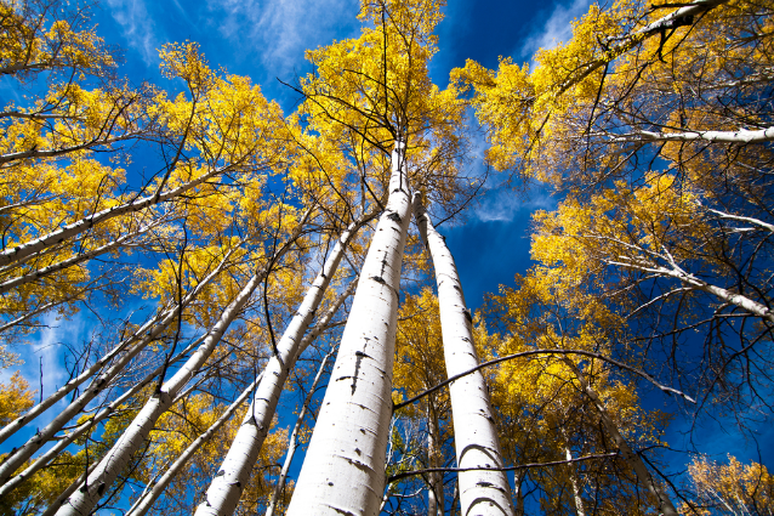 The Beaver Lake and Beaver Creek areas are home to some of the most picturesque treks around. From the campground, a loop around Beaver Lake and along the Beaver Creek area will cover three-and-a-half miles of beautiful terrain and changing leaves. 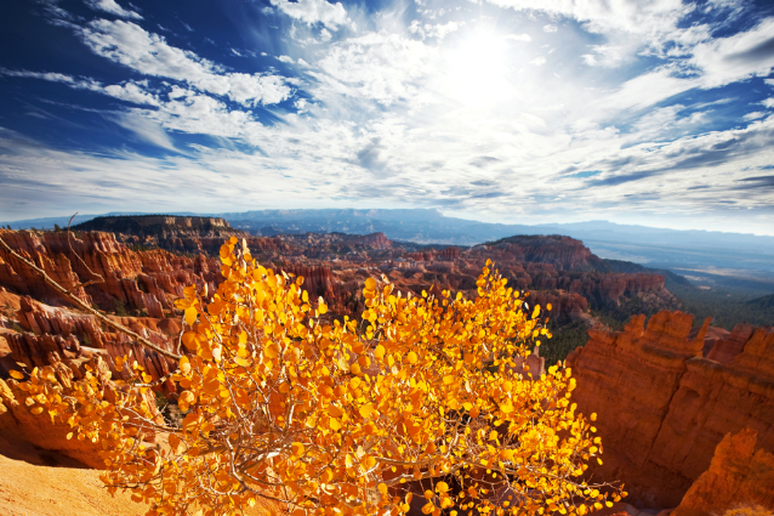 Starting at Bryce Point and descending quickly to the canyon floor, this tough five-and-a-half mile trek is great for advanced hikers looking for a unique view of fall foliage. The route that descends 1,555 feet and then gains it back is not for the faint-of-heart and hikers should be prepared for the heat even in the fall. Be sure to bring plenty of water and watch out for horses and mules that might also be on the trail. 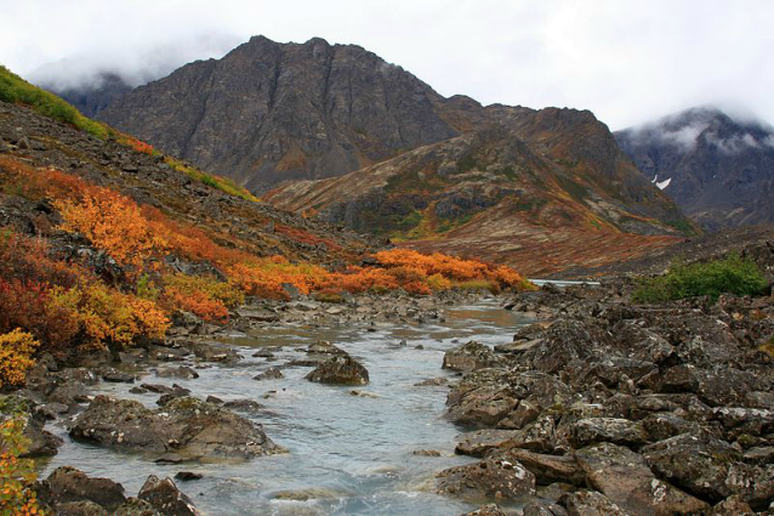 The South Fork Valley Trail in Chugach State Park will take you on a 9.6-mile roundtrip adventure with outstanding views of surrounding peaks. With just 1,700 feet of elevation gain, this is an easy hike that ends at Eagle and Symphony Lakes—excellent spots for catching wild rainbow trout and Alaska northern pike. This "mile-long aerobic workout" takes you up 1,165 feet via switchbacks to a summit with amazing views of the city of Aspen. Ambitious hikers can go another 2,300 vertical feet to the summit of Ajax Mountain. 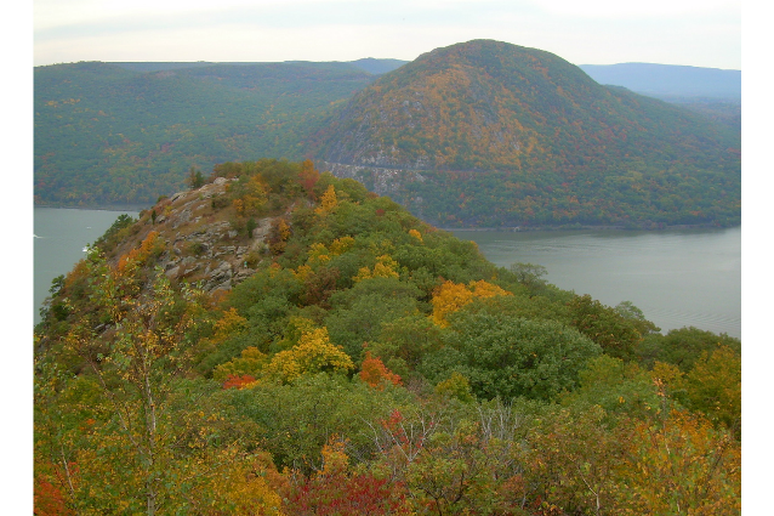 Breakneck Ridge Loop—Hudson Highlands State Park Preserve, N.Y.
Views of changing leaves, the Hudson River and Storm King Mountain make this strenuous hike well worth the effort—but don’t attempt the climb in bad weather, it can be slippery when wet. Although the hike is only about 3 miles long, it’s widely considered one of the most difficult in the area for steep climbs over bare rocks that will have you scrambling with hands and feet. Go during the week to avoid crowds and spend some time at the top taking in the view before you make your way back down the steep trail. 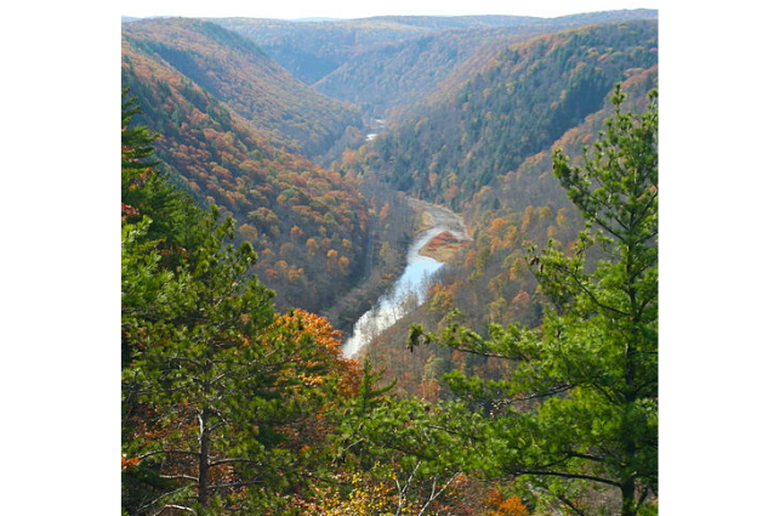 Blackwater Canyon Trail—Blackwater Canyon, W. Va. While the total length of this path is 10.2 miles, four parking lots along the trail let you choose the distance you'll hike and the scenery you'll see. Depending on the section you choose, you might pass under the Big Run Archway—a landmark built by Italian stonemasons in the 1880s—or the 35-foot Douglas Falls. Huckaby Trail—Coconino National Forest, Ariz. The Huckaby Trail, only 2.6 miles long, is a local favorite on fall days. Just a short trip from Sedona and you’ll find this moderate rated trail, which spikes up to 4,465 at Schnebley Hill, making it perfect for a half day adventure. Skyline Trail—Babcock State Park, W. Va.
Beginning at Manns Creek Picnic Area, this flat, four-mile out-and-back trip will take approximately two hours. This is just one great hike in a 4,127-acre park with 20 miles of trails. 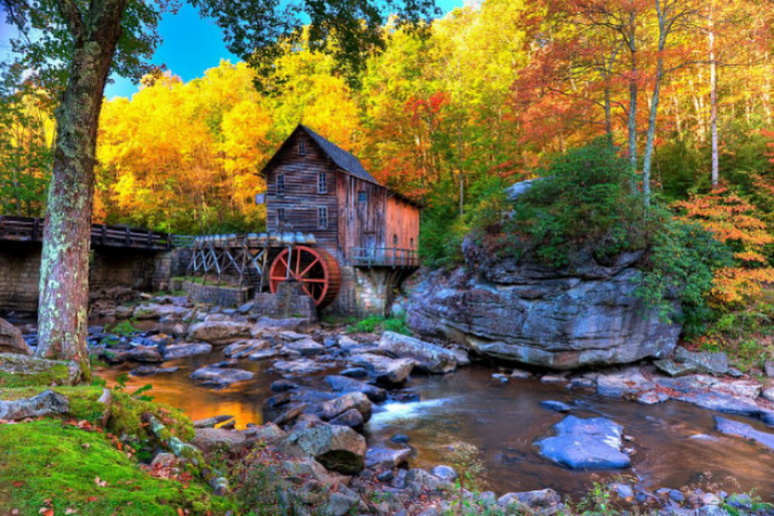 The many paths can take you through Manns Creek Gorge, as well as past streams and a working gristmill. 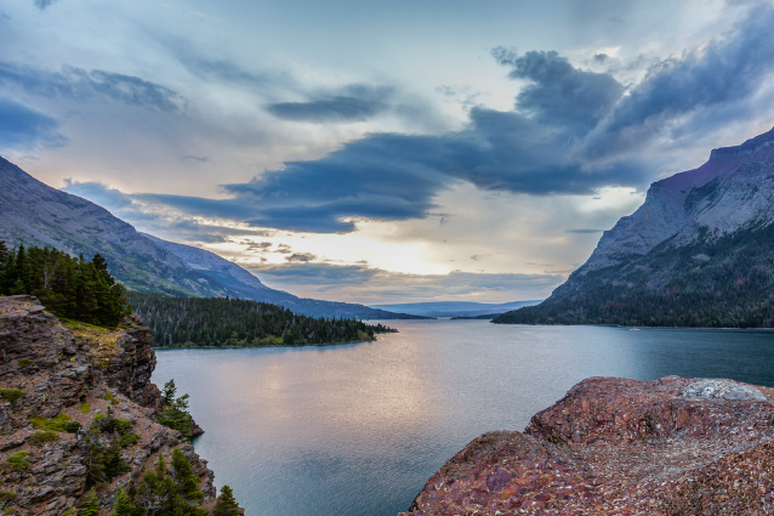 Sun Point Nature Trail—Glacier National Park, Mont. One of the more popular trails in Glacier National Park, Sun Point tends to be busy in the summer months, but should be a little less crowded come fall. On top of the scenic waterfalls along the way, the trail features off-shoots to other areas and stunning views of Saint Mary Lake which is surrounded by changing leaves from surrounding trees. The traditional path to Enchantment Lakes is trail 1553. 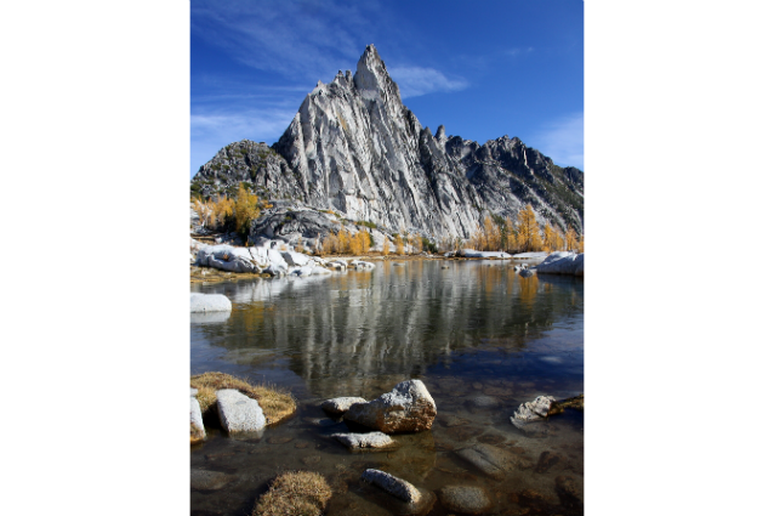 It starts at the Snow Lakes trailhead about four miles outside of Leavenworth, Washington, and will take you on a grueling 10-mile hike with 6,000 feet of elevation gain. For this reason, many people choose to take two cars and park one at each end of the trail. 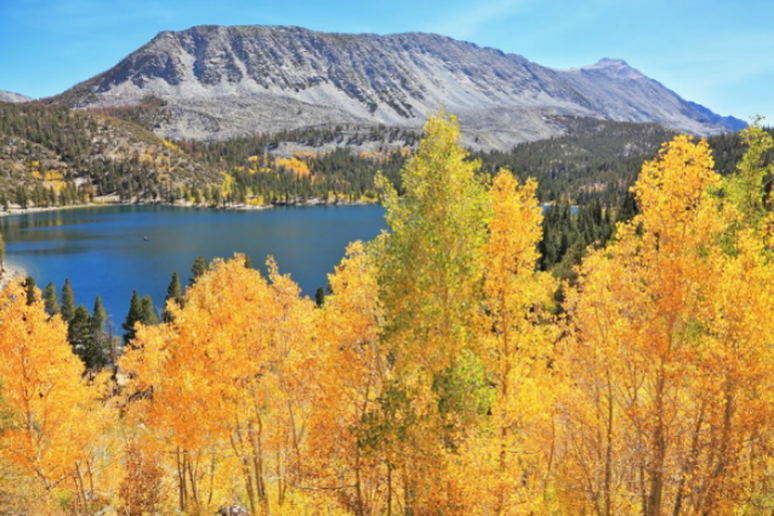 You can also camp overnight and awake to the sight of an alpine lake and gorgeous yellow autumn leaves on the surrounding larch trees. 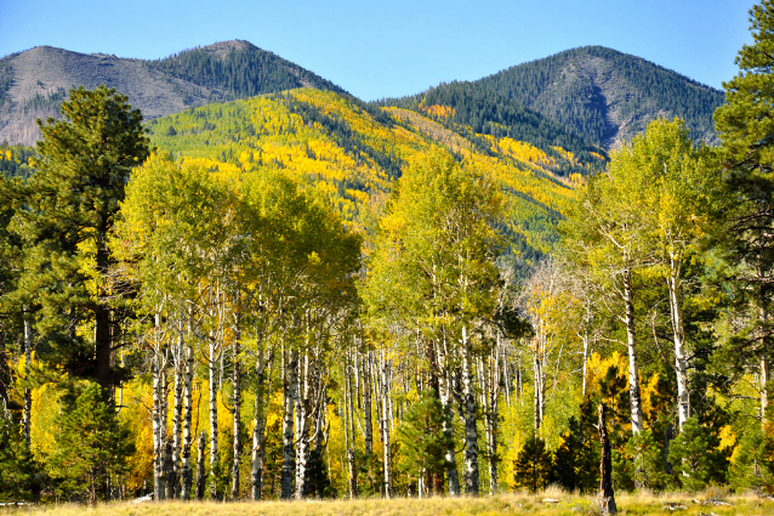 At 9,682 feet, Sherman Peak is the highest mountain in this region and therefore provides the best view of fall colors in the area. It can be accessed via the Bear River Range Highline Trail from the parking area near the trailhead off Eightmile Creek Road. In total, it's a 3.5-mile hike to the summit. Trail of Ten Falls—Silver Falls State Park, Ore. 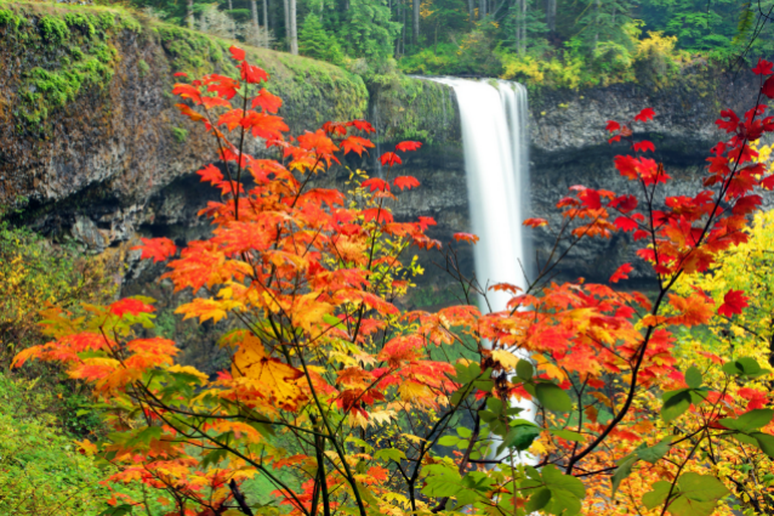 The eight-mile Trail of Ten Falls in Silver Falls State Park will take you past a series of gorgeous cascades accented with the vibrant oranges, reds and yellows of fall. Day-use permits are required year-round and can be purchased at the park entrance booth. The Stowe Pinnacle Trail—Stowe, Vt. 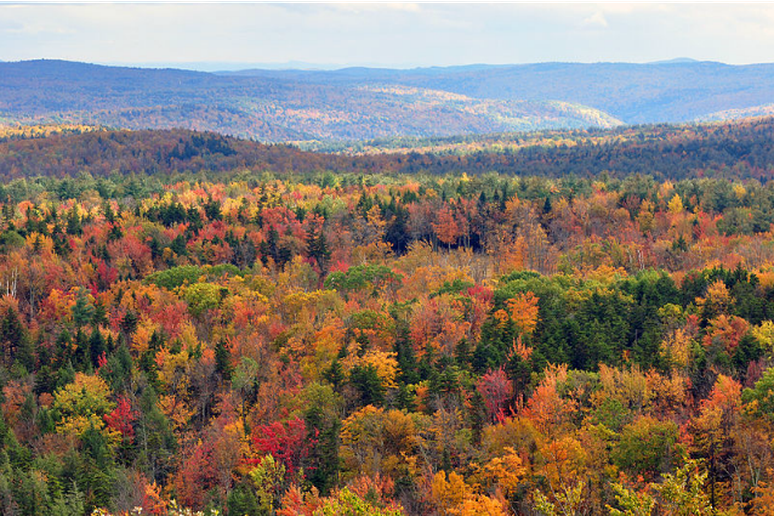 The first week of October is the best time to do this moderate hike in northwestern Vermont. The steep, 2.8-mile-long trail will deliver you to a bald summit with views of the Green Mountains (including the famed Camel's Hump and Mt. Mansfield) and the Worchester Range to the west, as well as Hogback Mountain to the southeast. May Lake—Yosemite National Park, Calif. 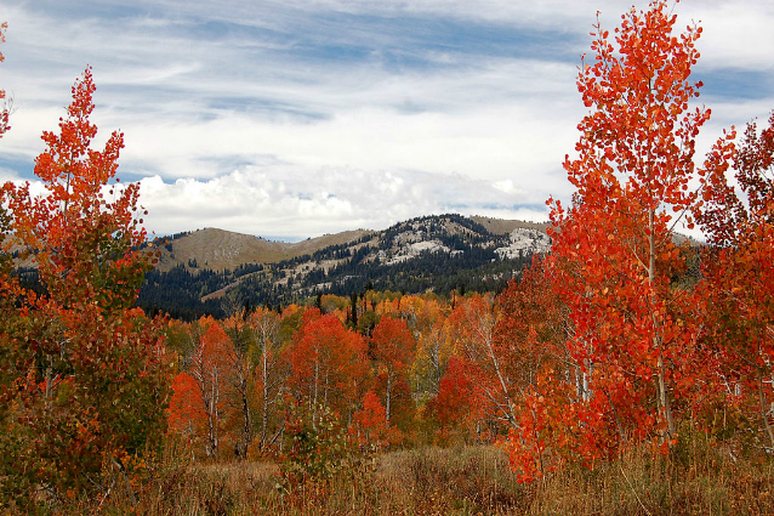 This family-friendly hike starts at the Snow Flat trailhead and covers 1.3 miles. Because it's a relatively easy jaunt, you can expect not just the beautiful granite peaks and sparkling blue waters of Yosemite, but also the crowds. Still, the view of May Lake below 10,000-foot Mount Hoffman makes this popular hike worth the (short) trek. A five minute ride from downtown Portland will put you at the base of this exceptional 5-mile trail. 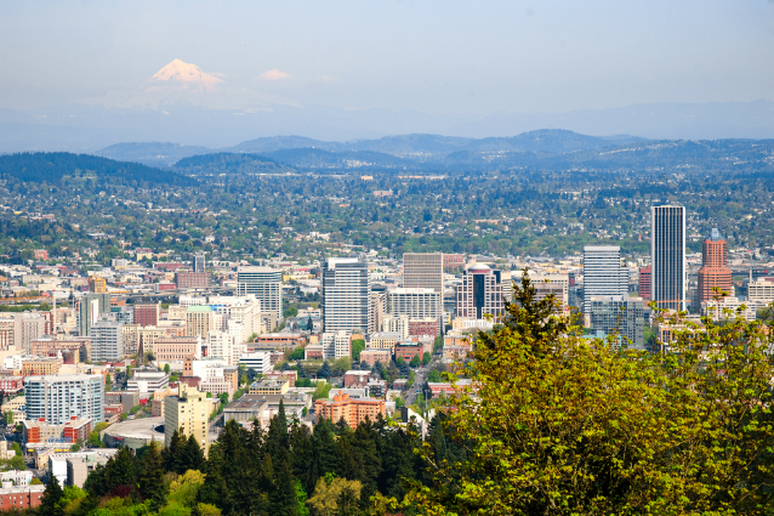 Start at the Lower Maclaey Park Trailhead and wind your way through thick forest, past a creek and finish on the site of a Victorian-era mansion with a stellar overlook of the city of Portland. 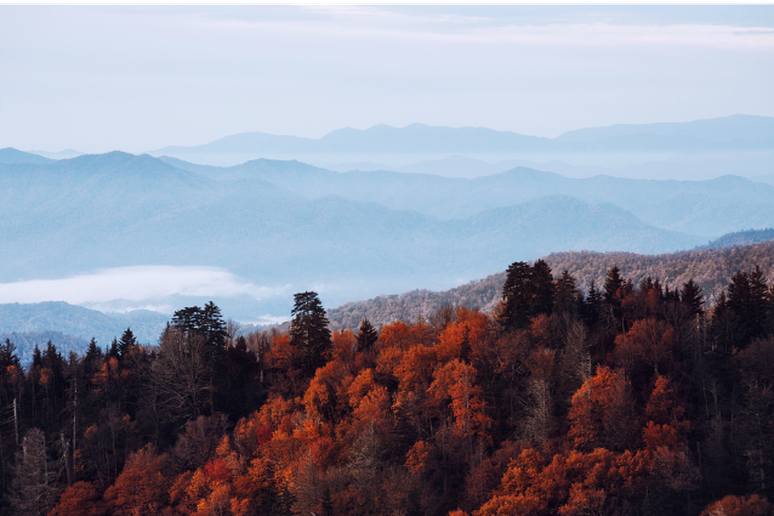 Appalachian Trail—Great Smoky Mountains National Park, Tenn. And N.C.
Rather than tackling the entire 2,200 miles of this National Scenic Trail, you can opt for a small but spectacular section within Great Smoky Mountains National Park. Drive to the parking area at Newfound Gap and take the Appalachian Trail to Indian Gap. The 3.4-mile roundtrip will give you a taste of this historic route and allow you to see beautiful fall foliage. Golden Eagle Trail—Tiadaghton State Forest, Pa. Some have said the Golden Eagle Trail is the best day hike in all of Pennsylvania and frankly it’s tough to disagree. This challenging nine mile loop gives hikers a look at some of the most stunning views of mountain peaks, cascading waterfalls and old quarries. 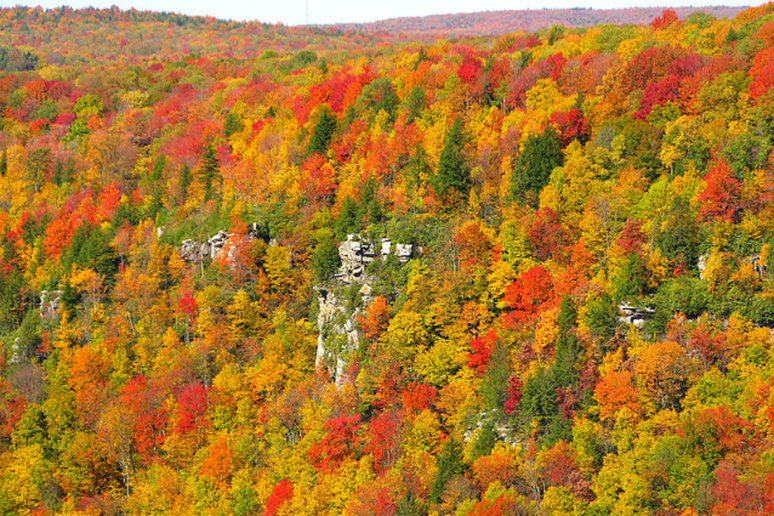 Now imagine all of that drenched in gorgeous fall colors. Ice Age National Scenic Trail—Devil's Lake State Park, Wis.
Devil's Lake State Park is one of nine Ice Age National Scientific Reserve units. On the scenic trail, you can find incredible glacial features and breathtaking views that highlight some the best autumn colors in the Midwest. While the entire loop is 13.7 miles, you can also take the 4.5-mile Sauk Point Trail or 1.8-mile Roznos Meadow Trail. Marcy Dam, Adirondacks—North Elba, N.Y. 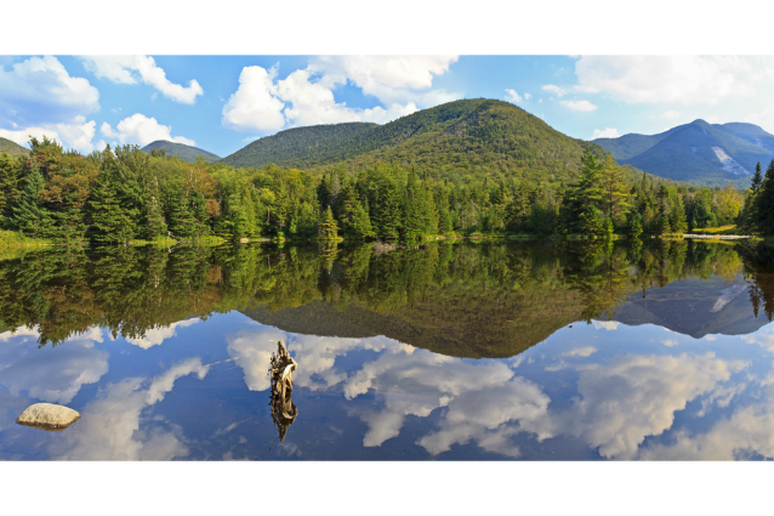 This popular hiking and camping destination sits at 2,362 feet, just 3.5 miles from the highest point in New York—Mount Marcy. Though the actual dam was badly damaged during Hurricane Irene, it remains a popular point with a gorgeous view.